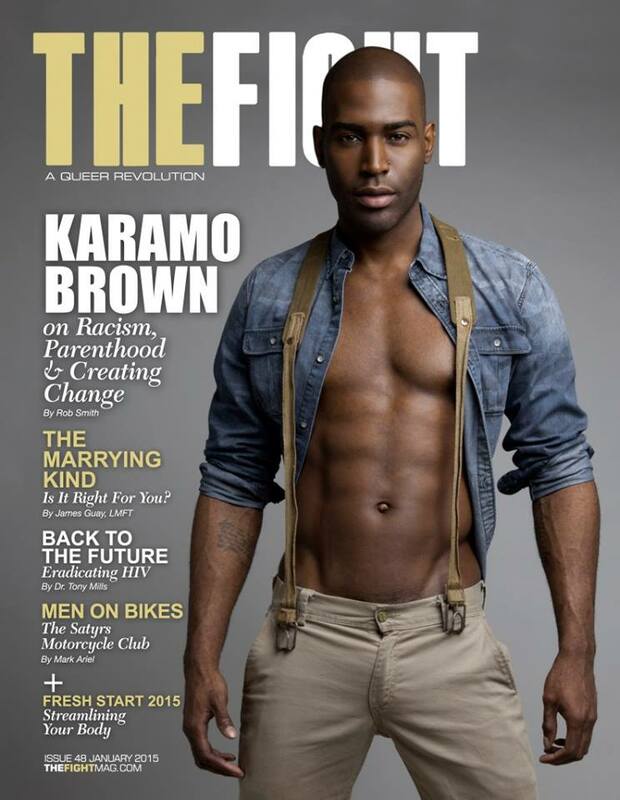 Karamo Brown (#OWNshow, Dr. Drew On Call, Real World: Philadelphia) sat down with Rob Smith (I Want To Work For Diddy) for the January 2015 cover interview of The Fight Magazine. Inside the issue he discusses his life, fatherhood, race in the GLBT community, and so much more. Below is an excerpt of him addressing white privilege and some blacks acting like tokens. Click here to read the full interview. If you would like a print copy click here. Comment below and let us know your experience with race in the GLBT Community.